Are you seeking to get fair compensation and justice for your family member or friend who is seriously injured, then we are the right personal injury lawyer for you. We believe that those who are affected by the negligence and recklessness of other people have the right to be compensated for their loss, therefore, our result oriented team of legal practitioners are here to help. And all we require of you is to get better, while you allow us to handle the rest. Corradino and Papa, LLC. is the personal injury firm to call on for help in the case of hurt inflicted on you or someone you care about after an accident. Overwhelming emotional and financial burdens are placed on people after an accident and this may cause major disruptions in their lives. Accidents may require that an injured person seek medical attention and this can amount to the person being forced to miss work thereby putting a hold on their regular life. A skilled personal injury lawyer can minimize the damage caused by these unexpected events and can help the injured person get back on their feet. All you need to do is get better & we will take care of the rest. Your biggest accident could be your choice of attorney. We're the best in the business. Nearly 1.3 million people die in road crashes each year, and an additional 20-50 million are injured or disabled. Property owners are responsible for maintaining a safe environment for everyone. On average, state and federal workers' compensation laws covered about 129.6 million employees a year. Did you know 1 in 10 construction workers are injured each year? We can help get you the compensation you are entitled to. Approximately 4.5 million dog bites occur each year in the United States and nearly 1 out of 5 bites becomes infected. We have recovered millions of dollars in dog bite injuries. There is nothing as traumatic as losing a loved one. When it's the result of negligence of another party we're here to help. About 130,000 individuals are injured each year in truck collisions. If you’ve been a victim of a truck accident, let us help you today. Product liability is that aspect of law which deals with liability caused by the manufacturer, the wholesaler, or the retailer of a product which predisposed you to harm or injury. Almost 5,000 people die in motorcycle accidents each year, and 88,000 motorcyclists are injured. Catastrophic injuries are debilitating and life altering. Our Winning Record Many millions of dollars and numerous significant results are won every year for our clients. Our Financial Resources A huge sum of money is required in personal injury cases. Our Size Our belief is that better representation and greater outcome is achieved when we have sufficient numbers of trained personnel. Our Technology and State-of-the-Art Infrastructure We have at our disposal access to top legal databases, specialized software and online resources. Commitment to Our Clients We render caring and compassionate services for our clients as we are committed to maintaining a positive relationship with them. Our Lawyers and Experience For over two decades, our firm has taken it upon itself to fight for the rights of injured persons. Caring and Compassion The services we provide which makes a difference in the lives of the individuals is our source of fruition. When you bring your case to Corradino & Papa, LLC, you gain representation by a firm that has a history of successful recoveries. Jack Vincent Corradino, Robert C. Papa, Joseph DeFuria and Timothy J. Fonseca have all been certified by the Supreme Court of NJ as Civil Trial Attorneys. All three are fearless litigators who have tried the most complicated and complex cases to verdict, including medical malpractice, in order to receive the maximum awards for their clients. We are committed to providing the highest level of skills and compassionate client service for each case. We understand your concerns and make sure to answer your questions promptly so that you stay informed throughout the legal process. Our team concentrates on Personal Injury matters including Construction Accidents, Motor Vehicle and Trucking Accidents, Wrongful Death, Premises Liability, Dog Bites, Workers Compensation and No Fault Arbitrations. Contact Our Experienced Personal Injury Lawyers for a FREE CONSULTATION! 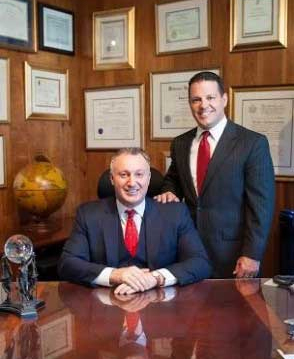 A skilled personal injury lawyer from Corradino & Papa, LLC is always available in emergency situations, and we are happy to meet with you at another location if you are unable to come to our offices. You pay no fee unless we recover damages. Please call us at 973-574-1200, or contact us online. HOME AND HOSPITAL VISITS AVAILABLE! The personal injury lawyers at Corradino & Papa are effective advocates to help ensure you receive fair treatment in an insurance claim. Our mission is to seek justice and fair compensation for seriously injured people. 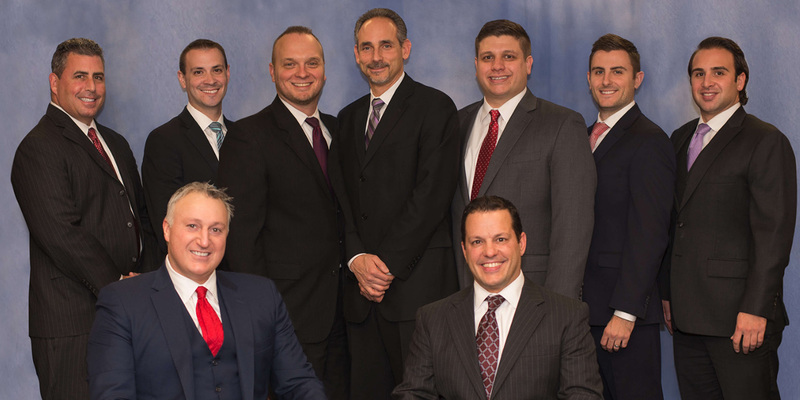 2015 Litigator Awards Winner Corradino & Papa LLC.